a) ORIGINS AND HISTORY: Sussex has long been a cradle of cricket, and Brighton and Rottingdean were two of the leading clubs in the mid eighteenth century when matches were an attraction for visitors and often played for prize money. The first mention of a Brighton team is on 22 July 1754 when a combined team of Bolney, Brighton and East Sussex took on Guildford, Ripley, Thursley and part of Surrey at Guildford. 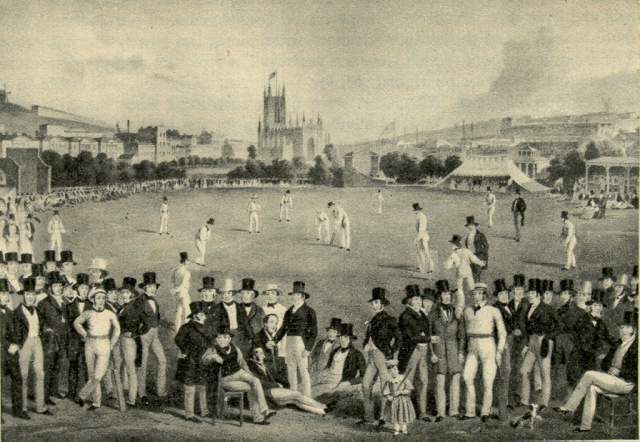 Brighton Cricket Club was originally formed in 1791, but was re-established in 1848 by G.King and W.Adams. The game was played on the Steine until all ball games were banned there by the Master of Ceremonies in 1787. The Level then became the main venue with the Prince of Wales’s ground being laid out in 1791, but it was replaced in 1823 by the Hanover Ground on the northern side of Union Road, now Park Crescent (q.v.). Sussex representative sides had been fielded since the mid eighteenth century, but the country’s oldest county cricket club was formally established on 1 March 1839 under the presidency of Viscount Pevensey, later the second Earl of Sheffield. 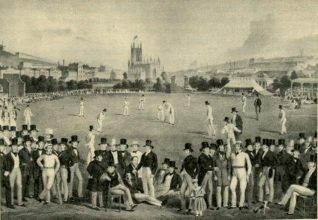 Infrequent fixtures were played at the Hanover Ground, but in 1848 the club moved to the Brunswick Ground in the vicinity of Third and Fourth Avenues, Hove. A final move to the County Ground was made in 1872 when nine acres were acquired from the Stanford family. The first match at the County Ground was played on 20 May 1872.